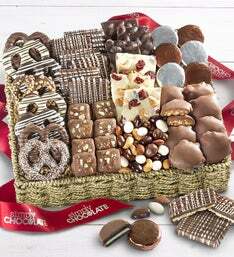 Wish them a very Happy Easter indeed with our heart warming Eggstravaganza Basket. 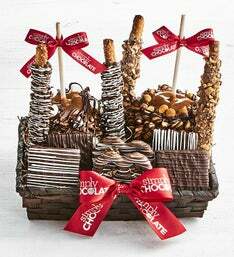 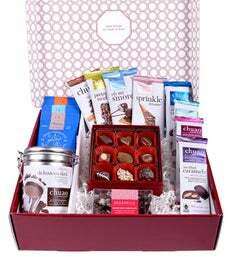 They'll enjoy chocolate covered pretzels and OREO® cookies in milk chocolate or dark chocolate, that will satisfy everyone. 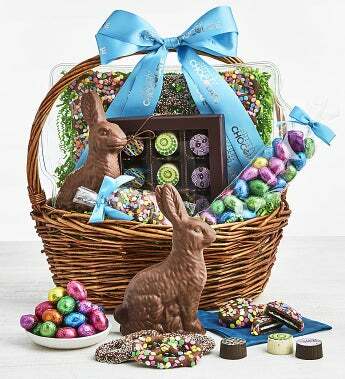 The addition of creamy truffles, a molded bunny and classic foil wrapped chocolate Easter Eggs will certainly make some bunny's day! 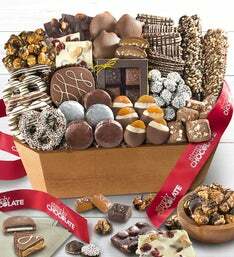 Gift measures 14"L x 14" x 12"